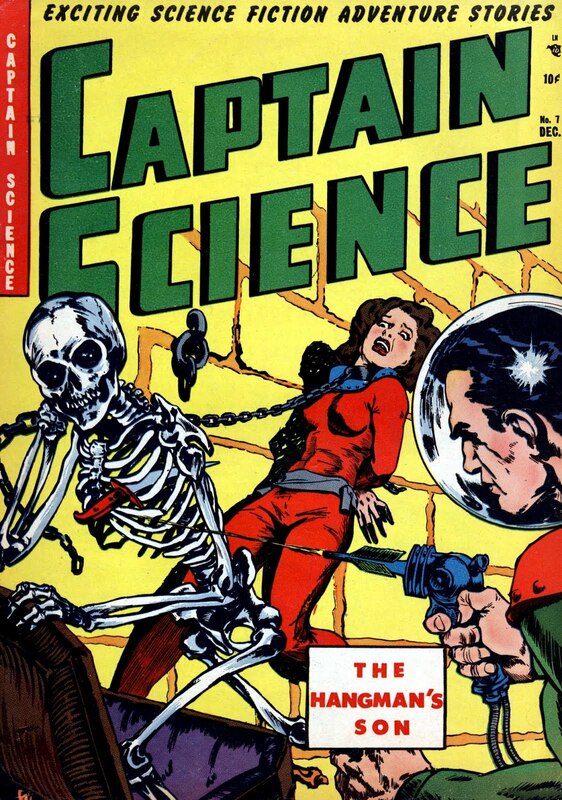 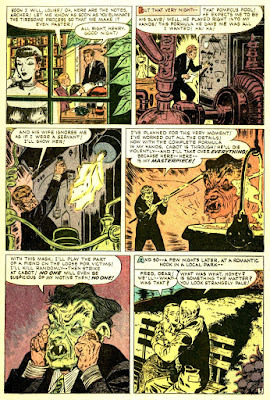 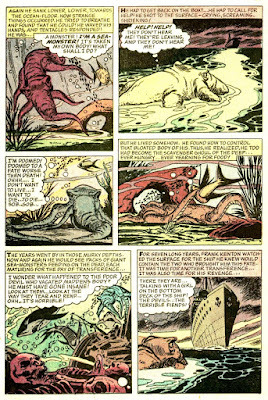 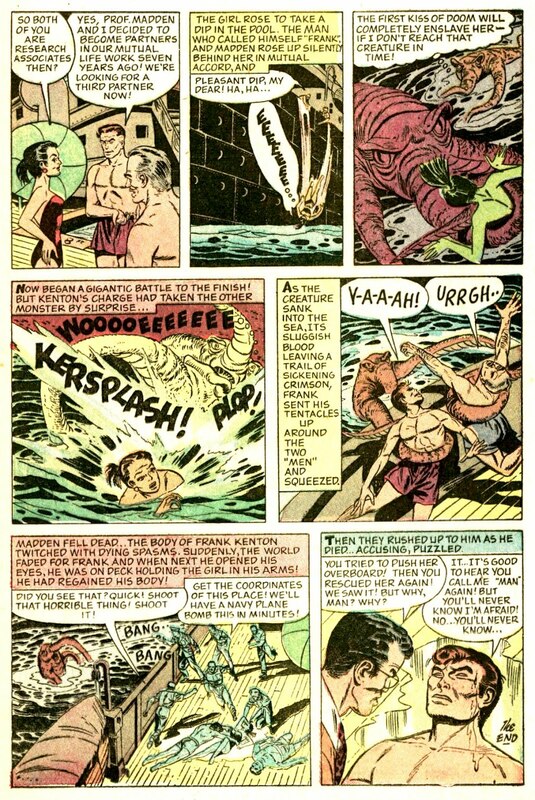 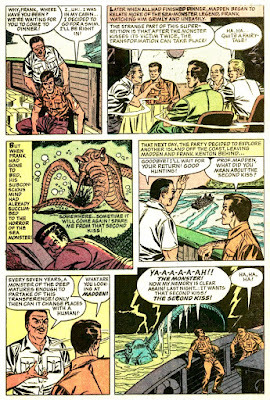 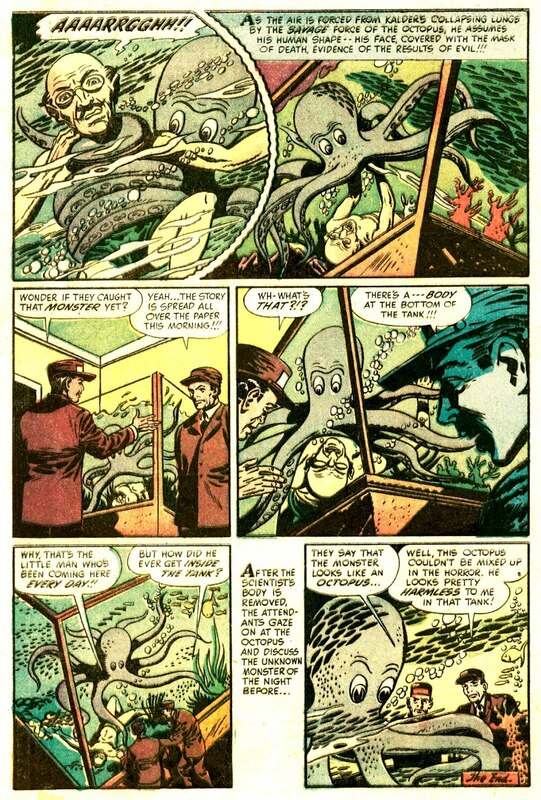 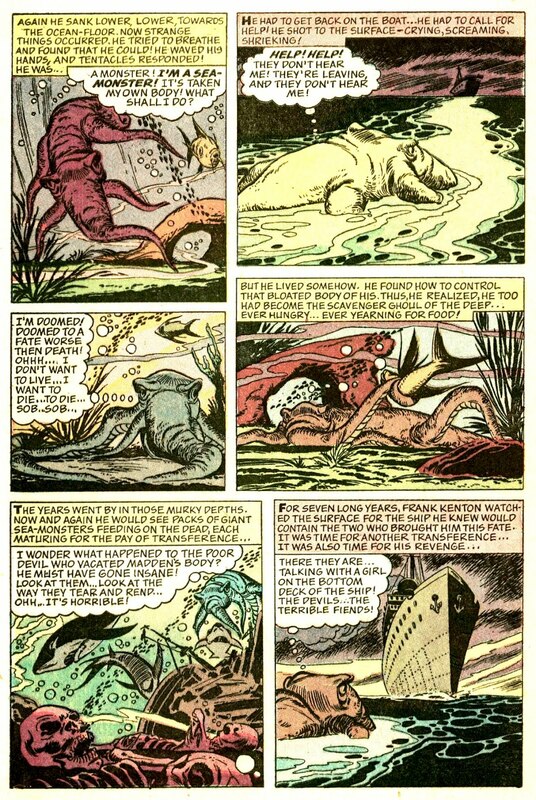 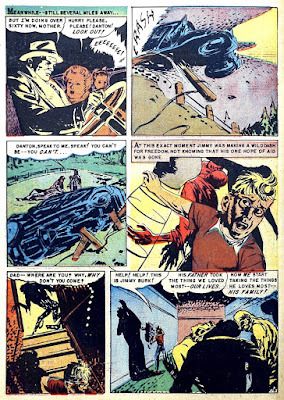 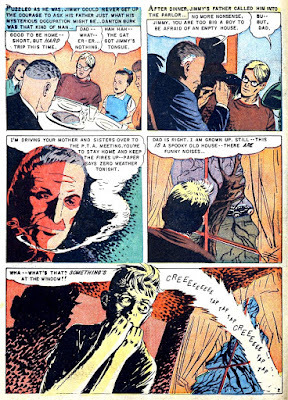 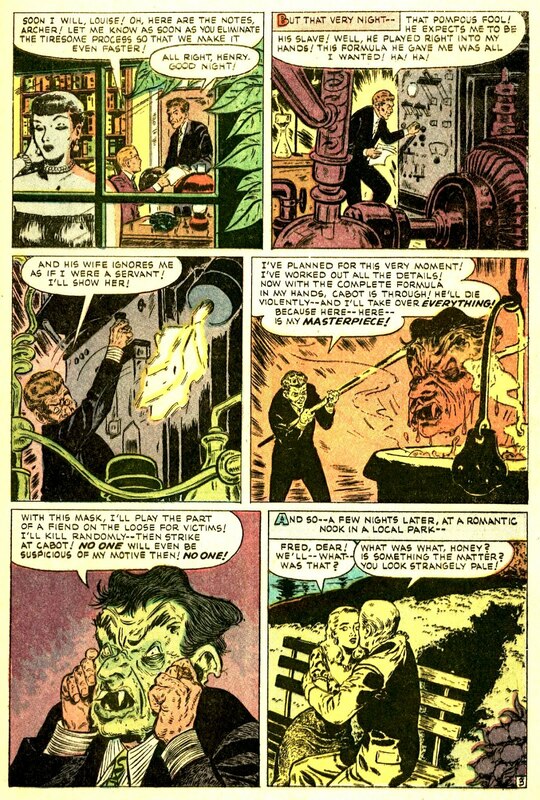 Time for a shivery supernatural tale, guaranteed to choke you up a bit, from the December 1951 issue of Captain Science #7. 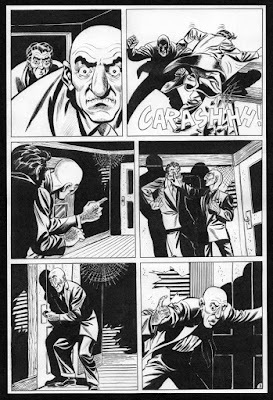 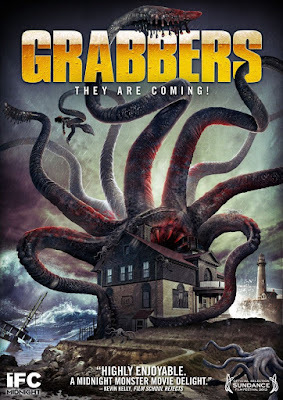 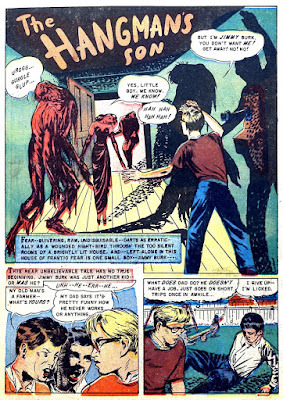 Vince Napoli’s oddly shoddy artwork actually works to the story’s advantage this time around, providing a surreal air of nightmarish weirdness, and propelling those bent-necked spectres into a whole other realm of blood-curdling spookery. 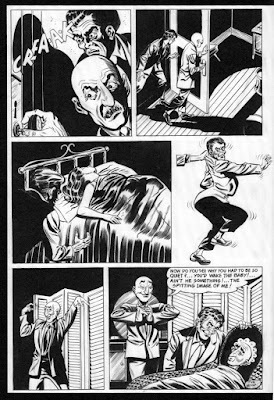 Have yourselves a super swingin’ Sunday, fiends! 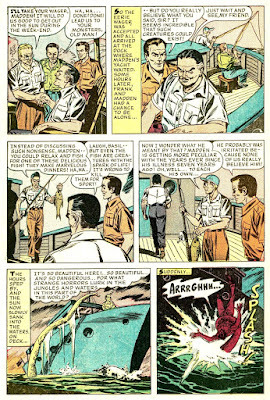 I was asked again recently to help identify another isolated comic book panel that’s been making its out of context way ’round the www, and you’ve probably seen it around too– a tough talkin’ dame putting a book store owner in his place while trying to buy a tome on black magic– so when people come to me for help (in this case I was actually tagged on facebook), I am of course more than happy to assist. 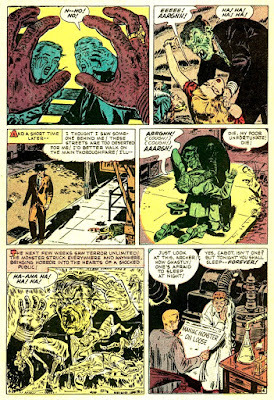 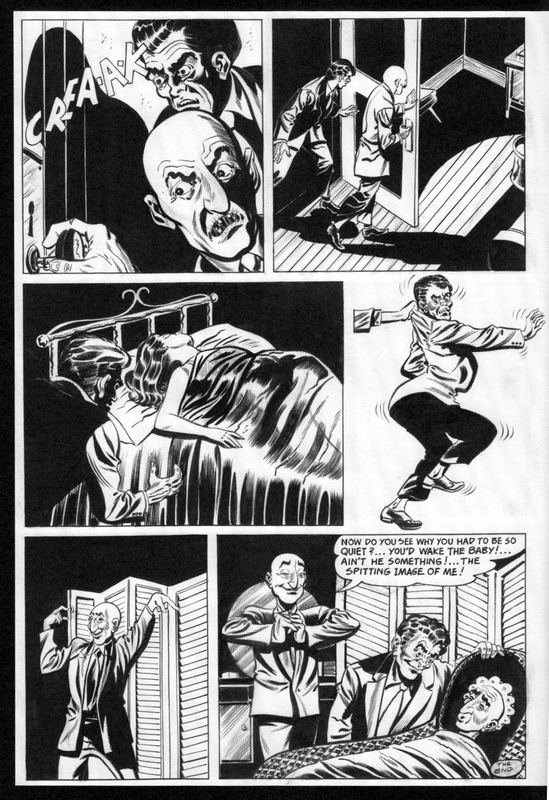 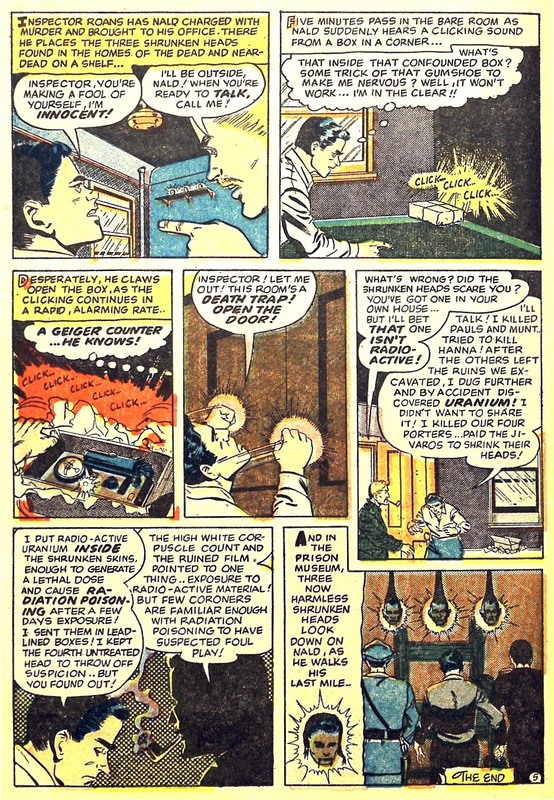 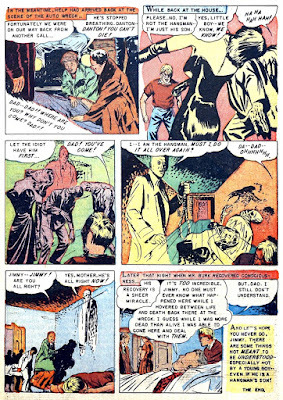 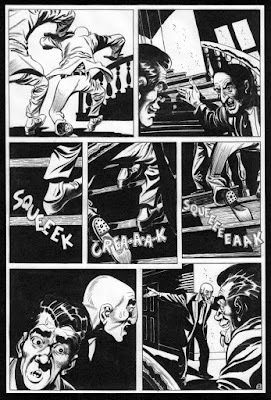 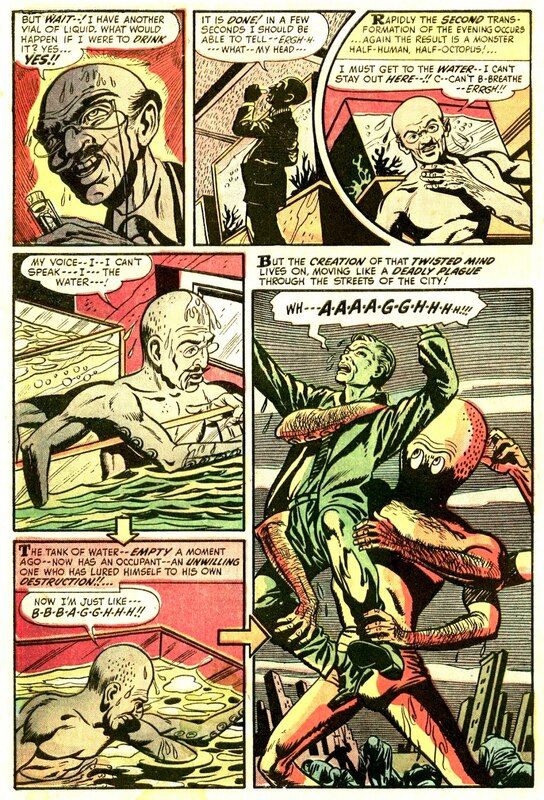 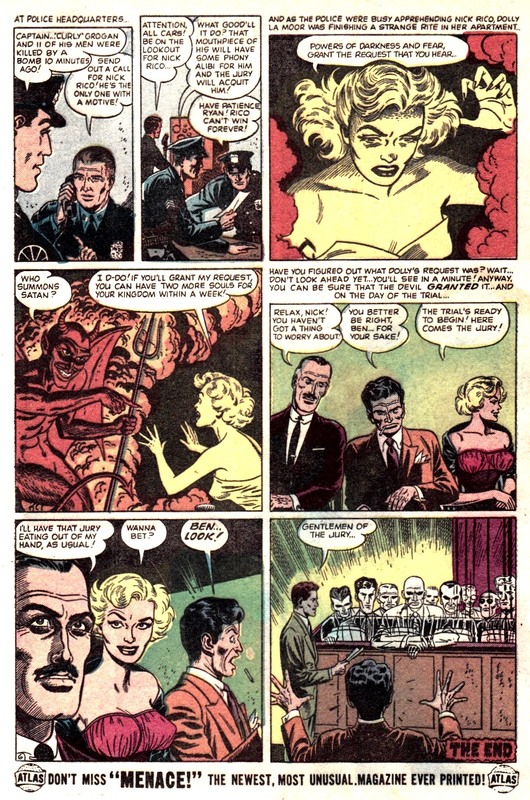 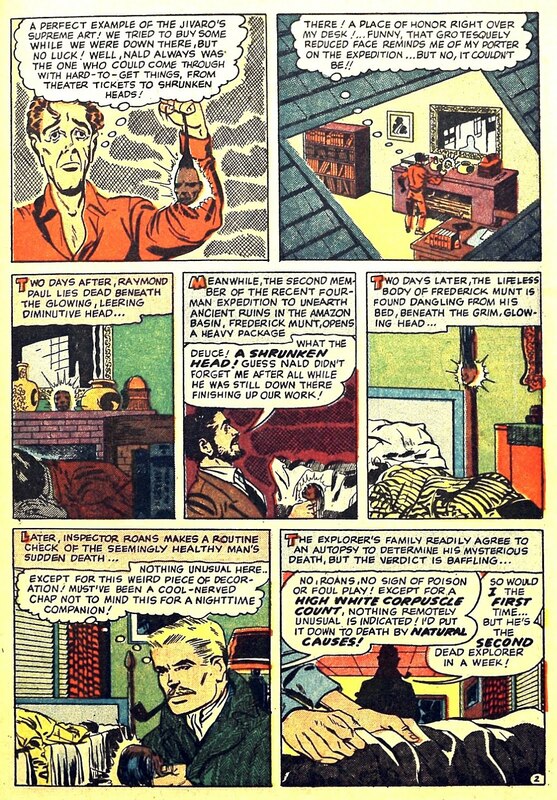 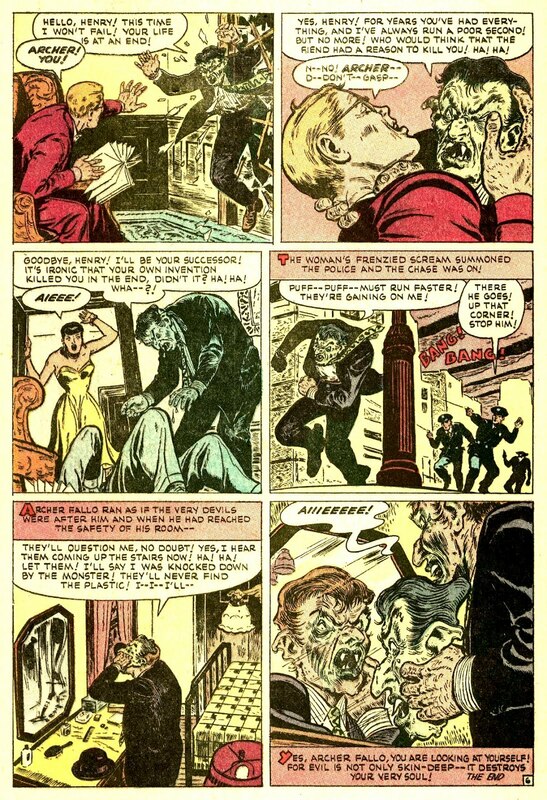 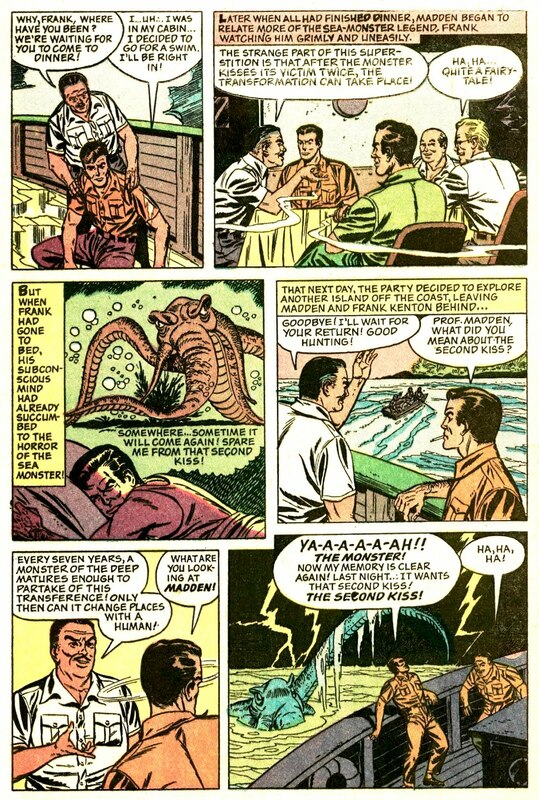 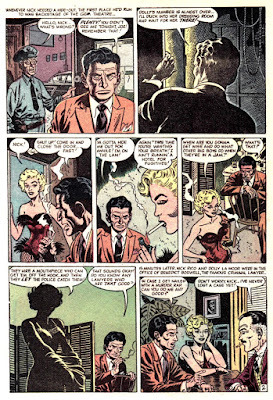 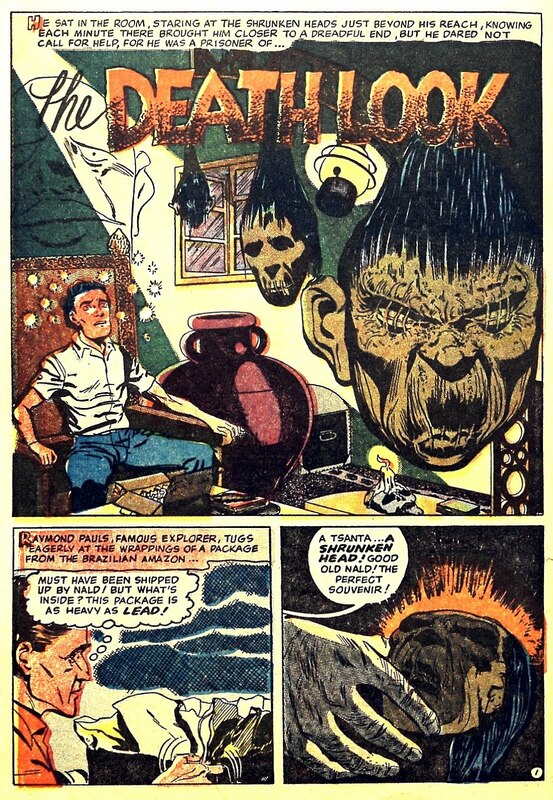 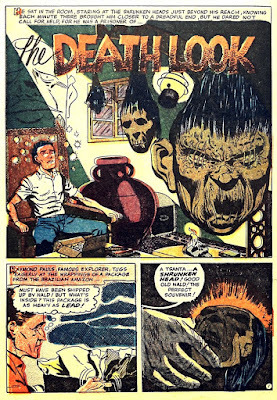 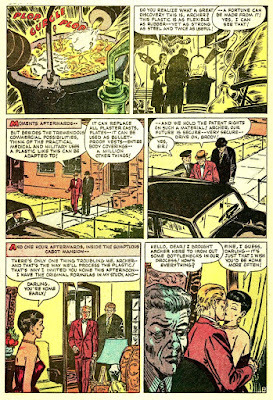 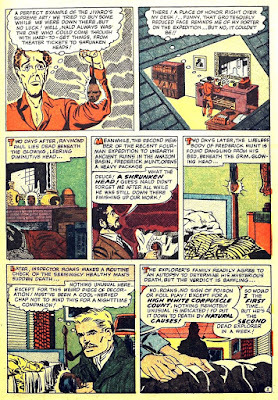 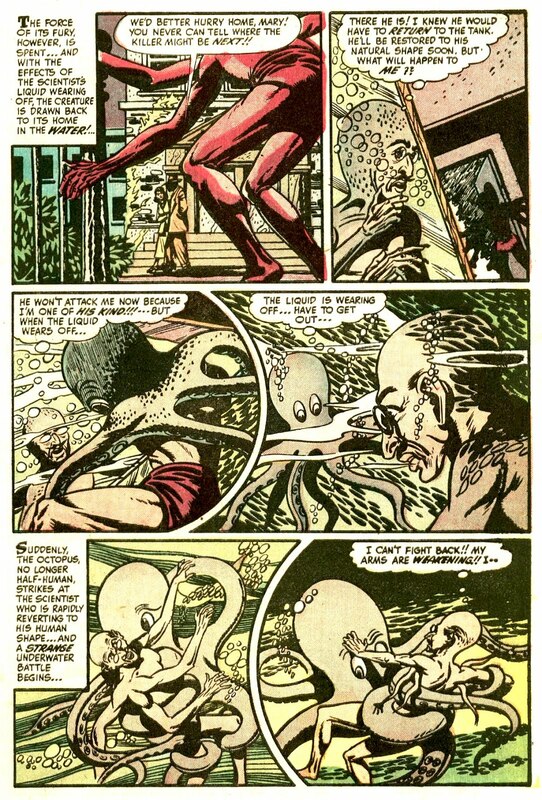 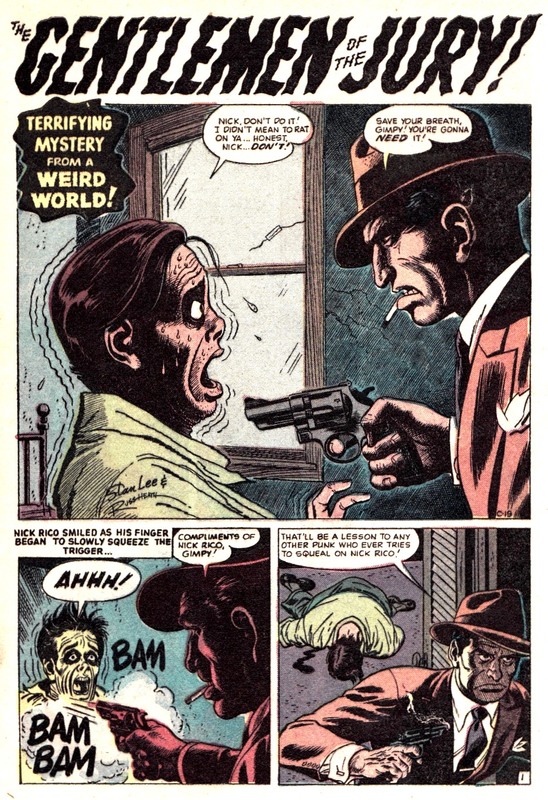 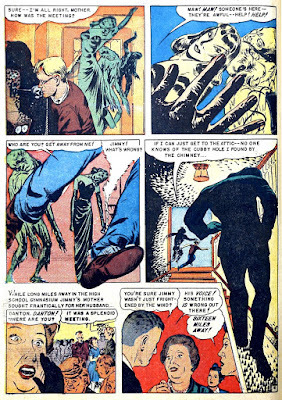 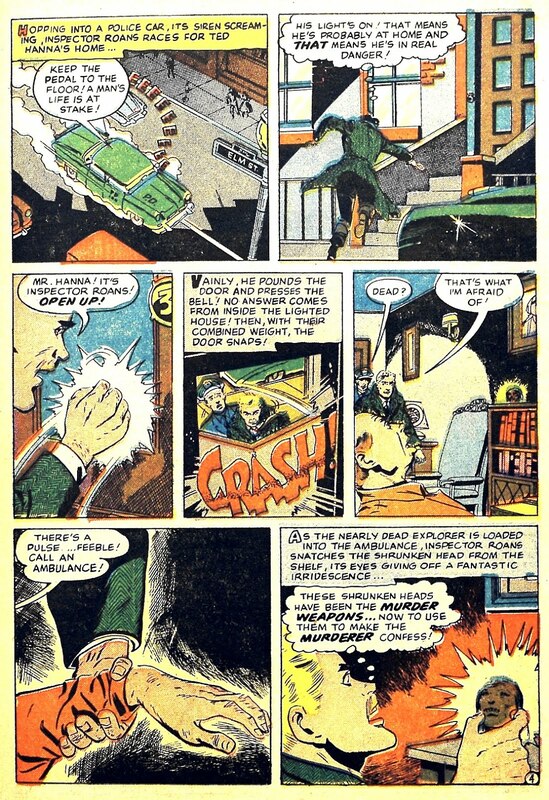 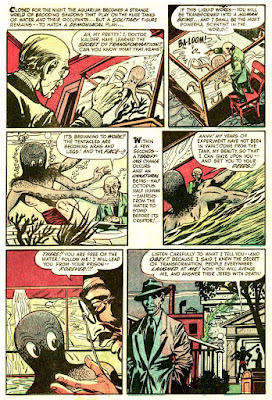 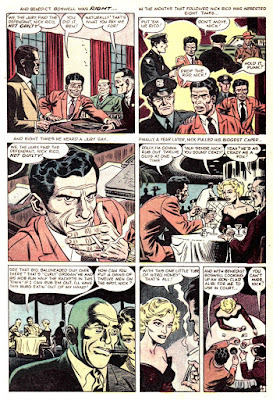 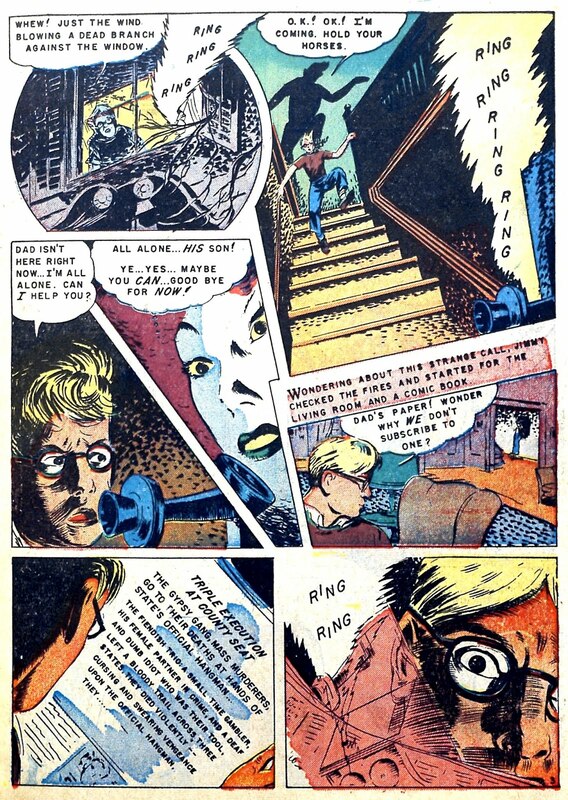 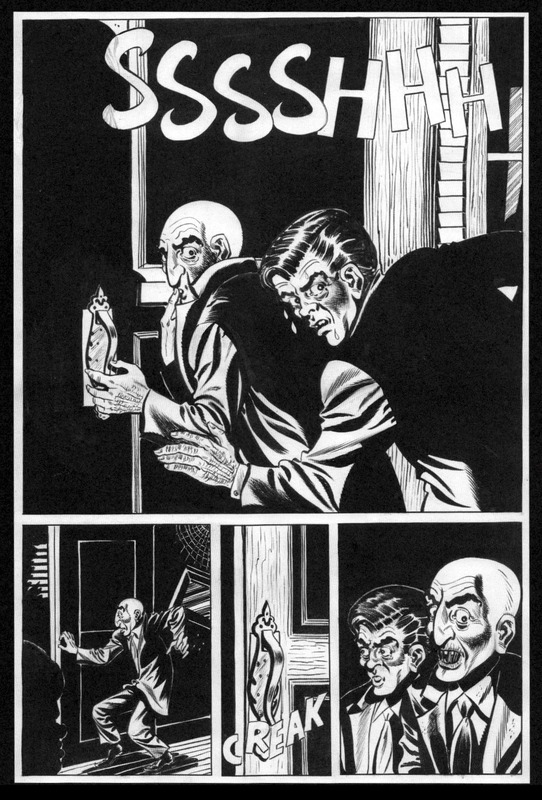 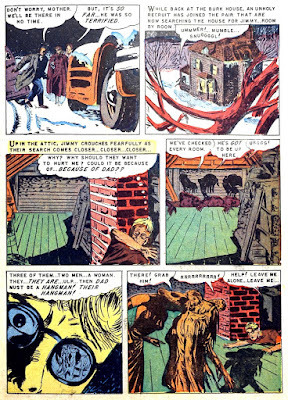 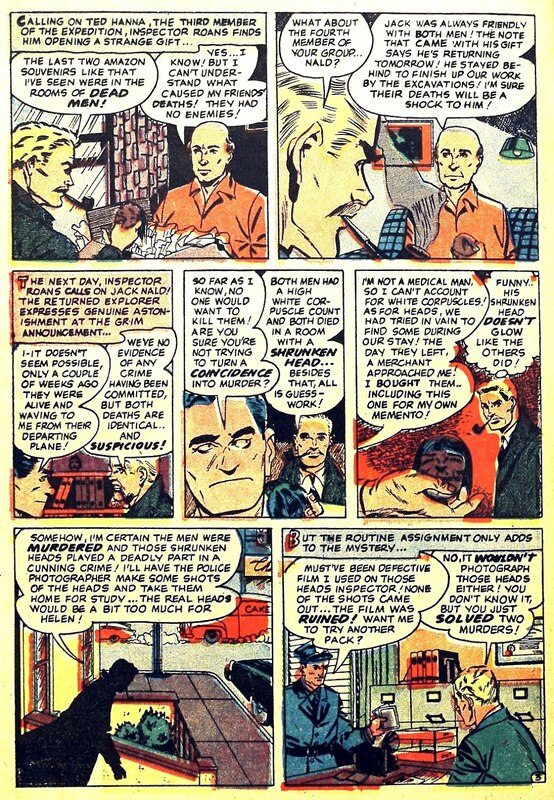 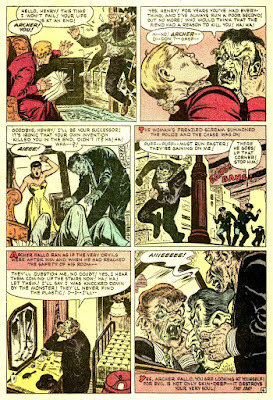 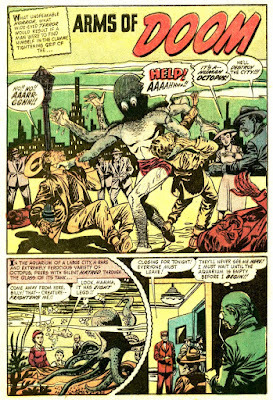 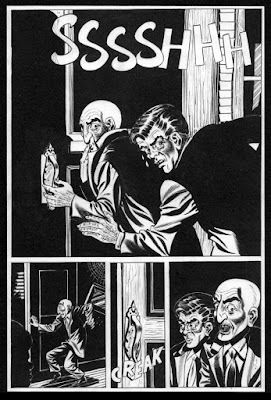 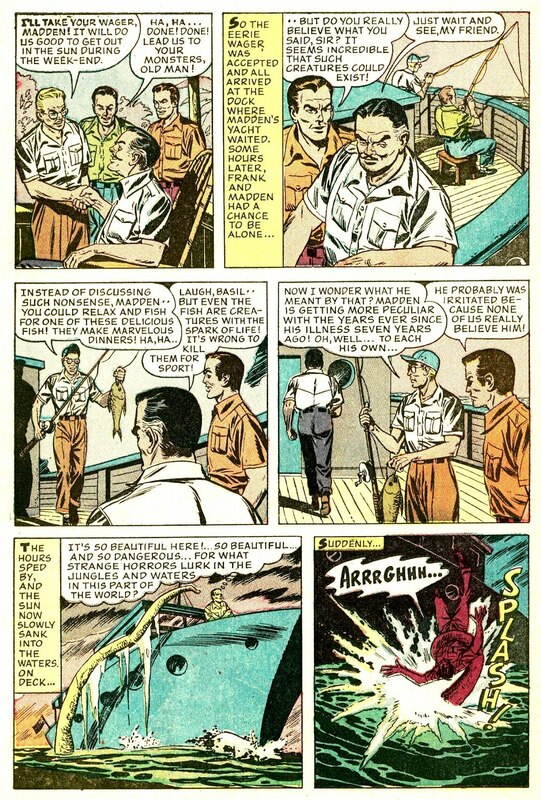 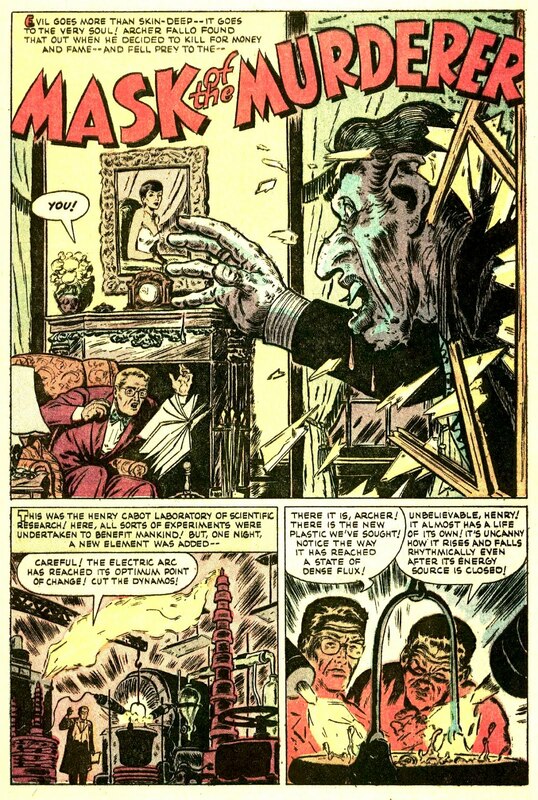 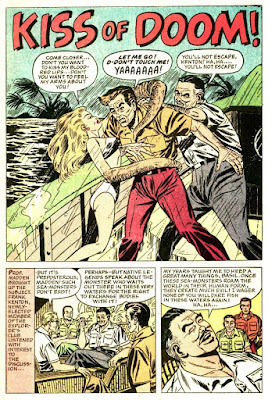 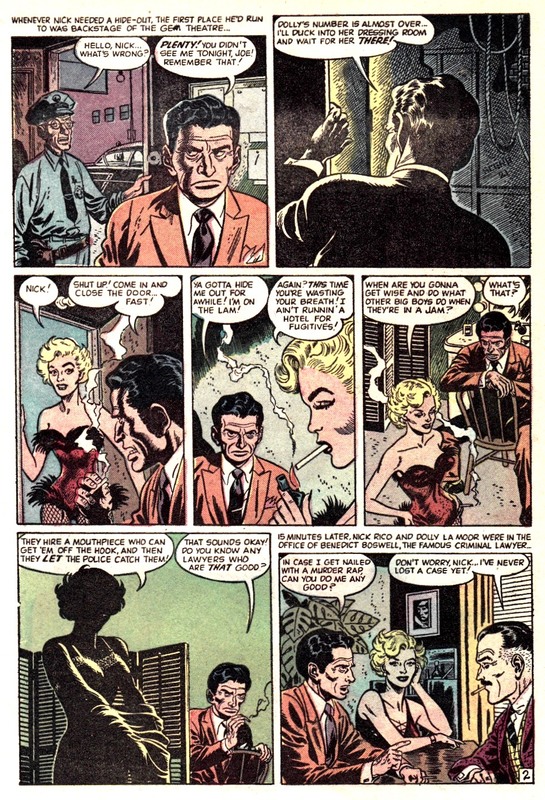 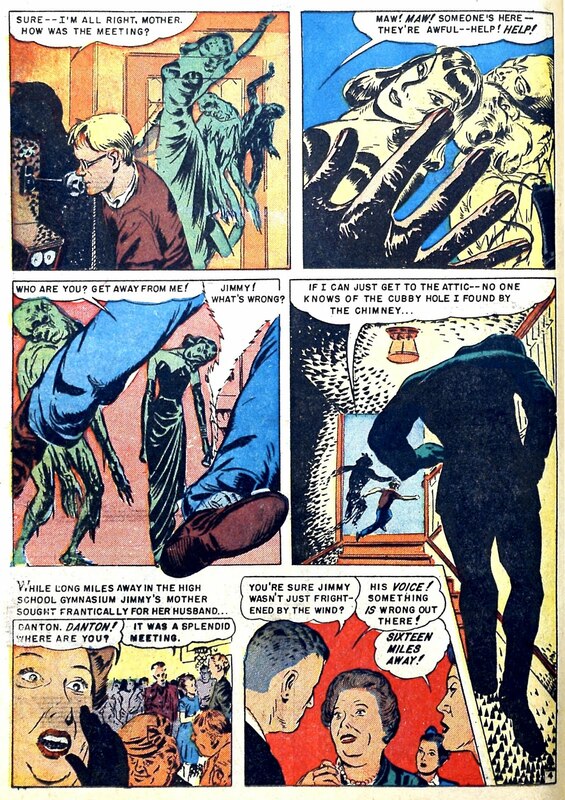 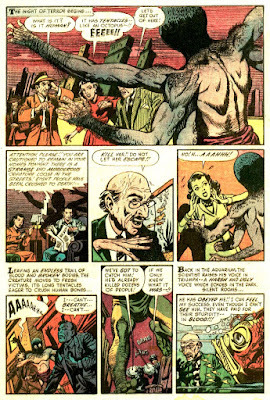 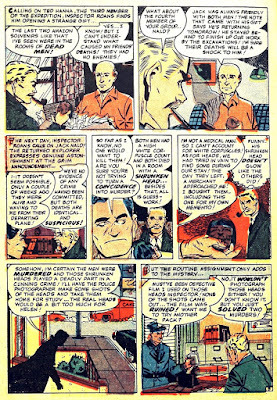 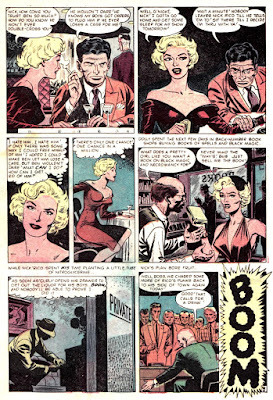 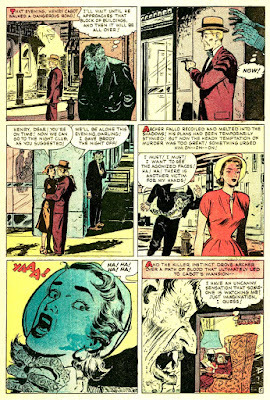 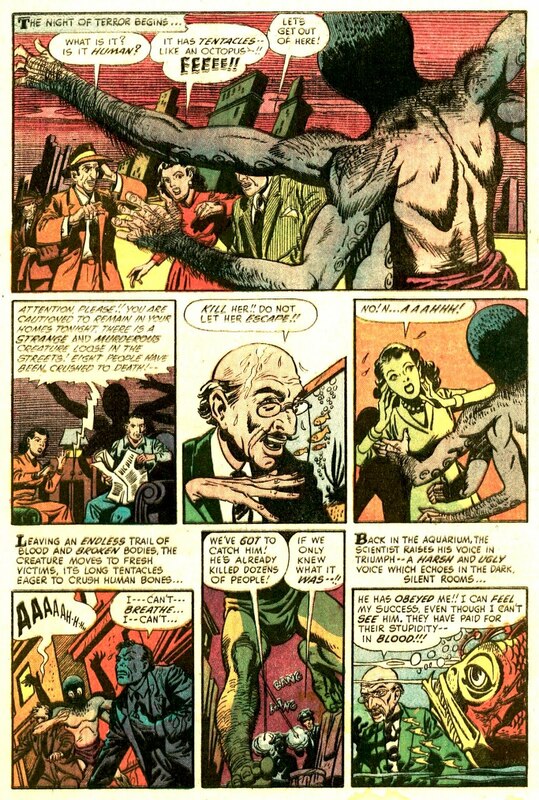 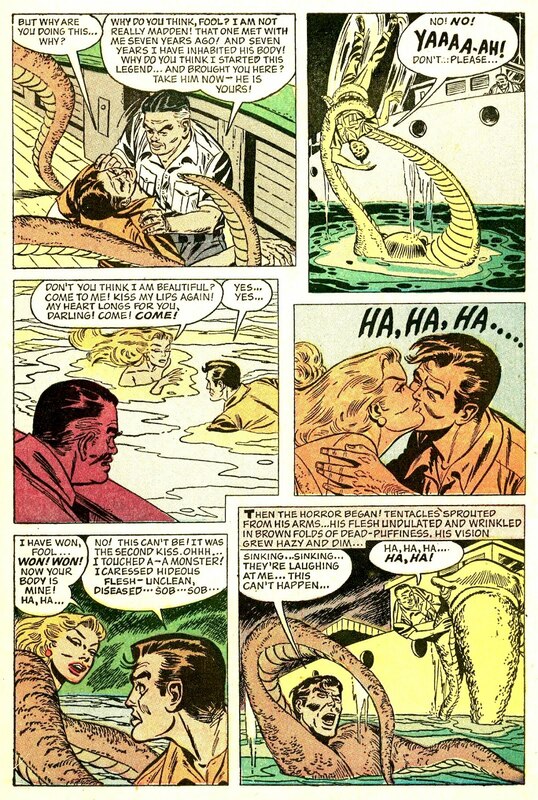 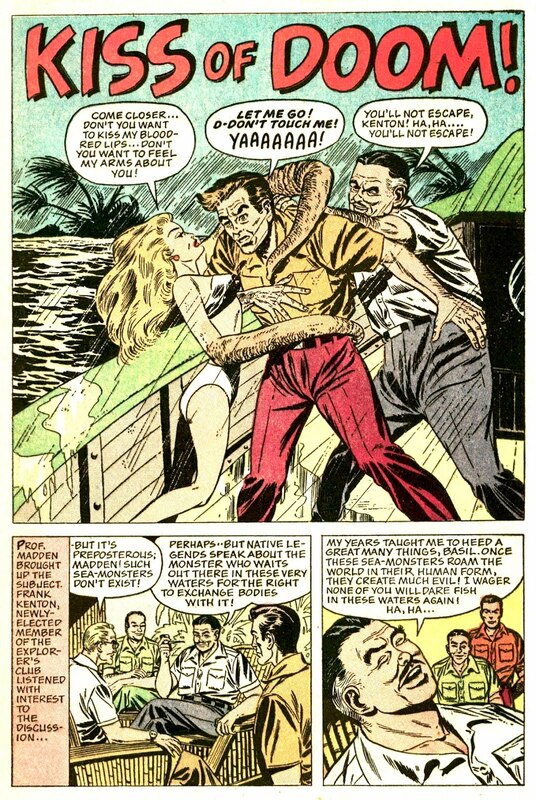 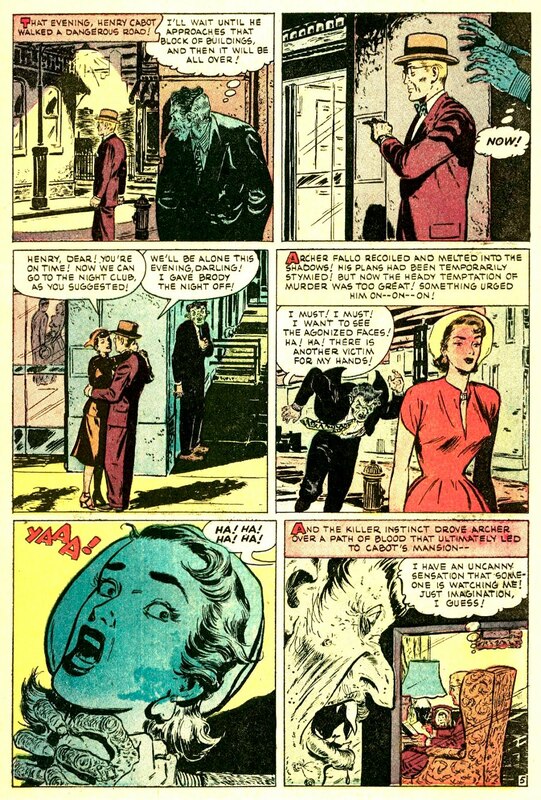 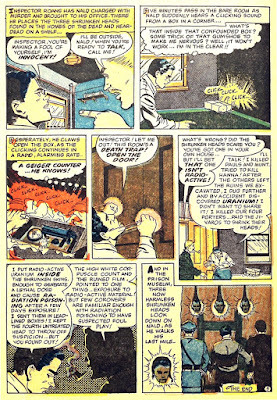 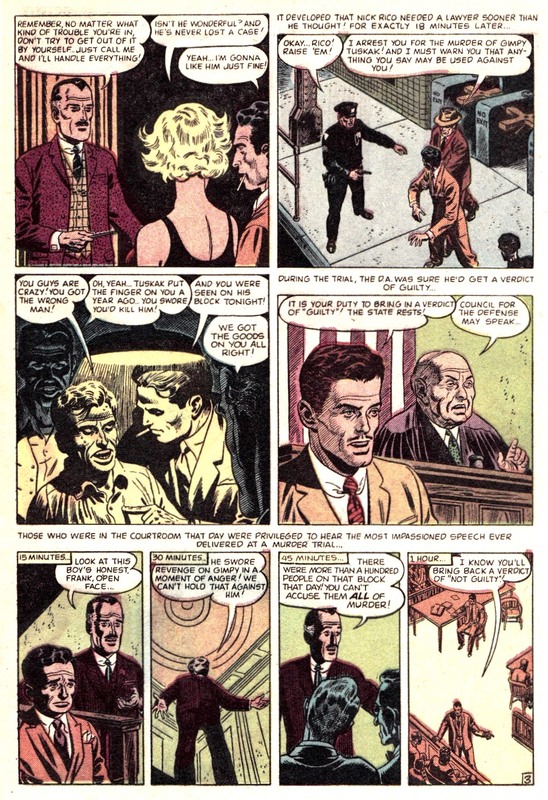 And here it is, the satanically penned Stan Lee script, and Russ Heath illustrated gangster tale (with a supernatural twist) that the perplexing panel in question is from, as originally featured in the April 1953 issue of Adventures into Weird Worlds #17.